Quantum Tools: The Health Concept of the Future - Today! Enjoy this conversation with Annette Graucob who speaks for Boris Aranovich detailing the Quantum Health Products that are improving breathing issues and overall health. Boris is a Quantum Researcher from Sweden who offers two devices he endorses for optimum health. One structures the water and organs in the physical body and another improves the strength of breathing to bring a variety of relief from high blood pressure to ashtma and more. *Are you suffering from lung and breathing problems and haven’t been able to find a cure yet? *Want to improve your immune system in general and increase your stamina? *Want to get rid of hormonal issues? *Need to remedy your hypertension easily and without side effects? *Have you given up finding a solution to your arthritis? *Want to reduce wrinkles and rejuvenate your skin? *Want to reduce your biological age in all organs and systems? Wait no longer – listen to this super interesting show and learn about the solution to all these problems! The solution is NEW and unique and all natural to the body and very easy to apply. Defining what the body is and how to influence it to heal from the most effective angle. What are the foundations for great health? Why do we fall ill and grow old in the first place. The key is to understand that the body itself is the best healer, we just have to give it the means to function as it’s intended to. How we can help the body to heal itself and rejuvenate naturally and easily. We tune our body back to health with the help of new – unique – innovative devices that are very easy to use and are applicable on any ailment, be it acute or chronic. And if you have no illness, maybe you’re interested in improving your immune system, increasing your stamina, endurance and work out capacity in the gym? Or maybe you just want to grow and look younger? 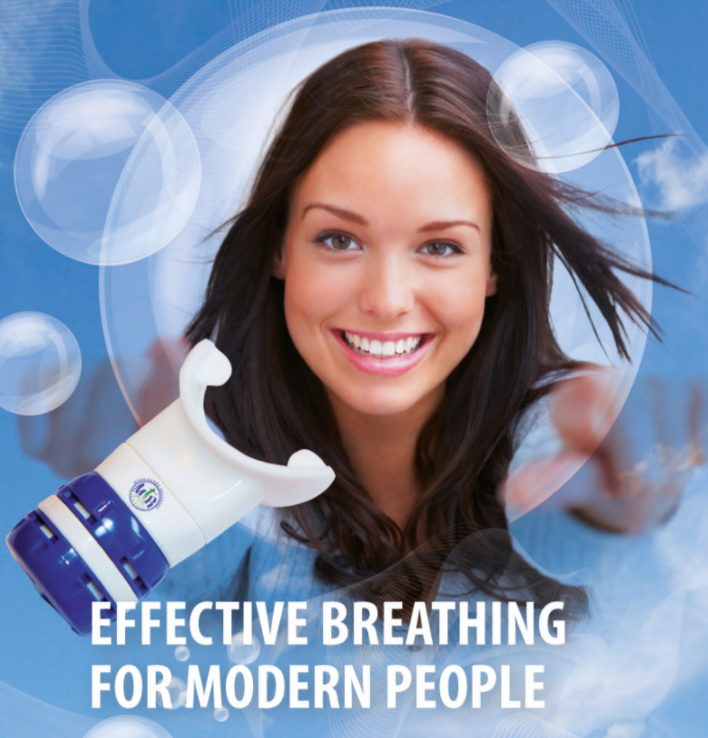 IMPROVE ASTHMA AND MUCH MORE! ”The Aquatone device has demonstrated high efficiency in complex treatment and therapy of ENT diseases (sinusitis, sinusitis, tracheitis, bronchitis, pneumonia). In the treatment of 75 patients a quickly reduced pain was observed, easier to cough. Influence on nose and frontal sinuses was noticed after 10 minutes…. 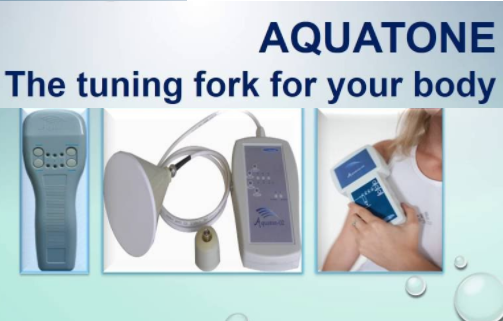 ….When using the Aquatone device, pain relief is achieved very fast. This is done without deterioration even in cases of disc herniated discs or committees, where Aquatone used with mode 1 and mode 2 for 10-15 minutes and paravertebrally with amplipulse. ”According to the results of preliminary testing of patients with various diseases in 2013, it was concluded that positive therapeutic effects on persistent symptoms of acute respiratory infections, chronic nasopharyngitis, hypertension and osteochondrosis with complications in different parts of the spine were achieved by the use of Aquatone. …Most patients who have completed 6 months of preventive treatment with this device, clearly shows a stable remission. No deterioration and no side effects were noted in patients. ”So many positive things have happened with my health. Imagine being able to change chronic cardiac fibrillation (of 20 years), something that would have cost 200 000 SEK to fix in France, according to my cardiac specialist. Also, my husband’s health has improved. ”I believe treatment with Aquatone is particularly suitable for people with my disease; ME (myalgic ecephalomyelitis ) which is both immunological and neurological and affects a number of body systems negatively with distressing symptoms and extreme fatique. First of all, I noticed a new sensation in the body – a pleasurable feeling of wellness I haven’t felt since childhood. Regarding the mental part, it’s more difficult to assess, but i feel more stable and my sleep has improved. ”I’m very happy and grateful for my Aquatone! A couple of months ago, I discussed my lyme disease with Boris and how I could strengthen my immune system in order to be free of all the reoccuring summer infections, penicillin and generally feeling bad… Now, after having used Aquatone for about 45 days, I keep the lyme disease at bay, sense a new balance in my body and soul…sleep better than ever, have lost weight and, psychologically, fears and worries have been significantly reduced. ”For almost a year, I’ve had trouble with inflammation in the urinary tract. Complicated due to prolapse pressing against the intestine. No ordinary household remedy worked, so I took to using penicillin more and more. When another dose was needed after only 14 days, enough was enough. I attended an information meeting on Aqautone and Triomed that Boris held on April 26th, and I purchased both Aquatone and Triomed. Now, a month later, after having used both devices diligently for a fortnight, I became completely symptom free 4 days ago. Important to drink a lot of structured water. ”I and my husband have been using Aquatone and Triomed for a month. What amazing results! My husband’s arthritis in his knee was due for surgery but is now almost completely healed. His impaired hearing has also improved a lot. My own experience: deep sleep with resulting more energy, no more blisters, firmer skin etc. I have treated several patients with Aquatone with amazing and fast results, among those torticollis, plantar fascilitis, painful shoulder. ”I can’t thank you enough for the wonderful device Aquatone. In just over a month I’m free of some health problems completely and others, that I’ve had almost all my life, are improving. Drowsiness dissapeared after 3-4 days of treatments. Stress is considerably reduced and now only occurrs sporadically. ”I have been using Aquatone for 2 months, reducing wrinkles according to the manual and notice that my skin has become smoother and less wrinkly. Thank you! I have also used Aquatone on the eyes of my mother and myself. My mother has age-related macular degeneration and has very poor vision, and I also have symptoms of the same sort. Now, my mother can catch glimpses of things she hasn’t seen in years. I can read smaller texts now a days och seem to have clearer vision. ”In mid November last year, I got rashes all over my body, except the face, with excruciating itching and was only given cortison ointment and antihistamin by my physician. At first, the ointment had a slight effect, but then everything came back. ”I just recently purchased Aquatone and have already experienced its significant healing power. I had inflammed gums with troublesome bleeding and supporation. After only a couple of days of treatment, all problems disappeared completely. ”Thank you so much Boris for the amazing devices Aquatone och Triomed. I own both of them. For the past 3 years, I’ve had major neck pain. It started with a minor torticollis, but eventually, I couldn’t live, sit, walk or sleep normally and was in constant pain. It had become chronic. With the help of Aquatone, I got rid of the problem in 12 days. The pain disappeared. Occasionally, my blood pressure peaked, had occasional migraines…all these things were normalized too. I recommended a friend of mine to buy Aquatone. She had similar problems with her neck as I used to have. She took care of it within 2 weeks, additionally, she also cured her cystisis in 2 weeks. I helped my colleague. He came to work with acute shoulder pain and couldn’t lift his hand. With the help of Aquatone, I managed to remove the problem in 4 hours. He was thrilled, surprised and grateful. ”I have now been using Aquatone for a good 2 months. I started to treat my kidneys and liver. My complexion has completely changed, from having had a dry and flakey skin, it now looks as if it has just been moisturized. Since I began using Aquatone, the vacuum I used to feel in my head is gone. ”I fell and hurt my knee a couple of weeks ago. I treated locally on the area with mode1-2 and 2 for 3 days and the swelling and pain disappeared completely. I had troublesome pain in my lumbar area, treated it with mode 1-2 twice and 90% of the pain disappeared. I’ve also had problems with tooth ache och blisters in the mouth and used mode 2 twice a day for 2 days and now the blisters and pain is almost all gone. I have also used Aquatone for treating my pollen allergies, mode 2, which has worked very well.